HAMILTON, Bermuda--(BUSINESS WIRE)--Signet Jewelers Limited (the “Company”) (NYSE: SIG), the world’s largest retailer of diamond jewelry, today announced that its Board of Directors appointed Sharon L. McCollam and Nancy A. Reardon as Independent Directors effective March 13, 2018. These appointments will further strengthen the Board’s expertise and breadth of experience as Signet launches its “Path to Brilliance” transformation strategic plan. The Company today announced a comprehensive three-year transformation plan to drive growth and long term financial performance, repositioning the company to be a share gaining, OmniChannel jewelry category leader. With these two additions, the Board represents an effective mix of industry and functional experience, public board service, and fresh perspectives. The Board now numbers 12 members, 6 of whom are women. McCollam most recently served as Executive Vice President, Chief Administrative Officer and Chief Financial Officer of Best Buy Company, and Reardon most recently was Senior Vice President, Chief Human Resources and Communications Officer for Campbell Soup Company. H. Todd Stitzer, Signet Board of Directors Chairman, recognized the deep retail and change management experience that both McCollam and Reardon bring to Signet, as well as outstanding operational expertise. “Both Sharon and Nancy served major public companies in C-suite positions. Their significant functional skills and broad operational experience in successfully transforming large complex organizations will be invaluable to our leadership as the team implements a strategic plan to grow and improve our business,” Stitzer said. “Board refreshment and recruiting talented individuals have been an essential part Signet’s corporate governance practices, and we’re pleased to further strengthen our Board’s capabilities. McCollam served as Executive Vice President, Chief Administrative and Chief Financial Officer of Best Buy Co., Inc. (NYSE: BBY) from 2012 to 2017. In this role, McCollam was broadly recognized as the co-pilot of the company’s Renew Blue transformation, which has been regarded by the investment community as one of the foremost OmniChannel turnarounds in the retail sector. McCollam oversaw all aspects of global finance, information technology, supply chain, customer care, real estate, store development, enterprise shared services and Mexico operations. 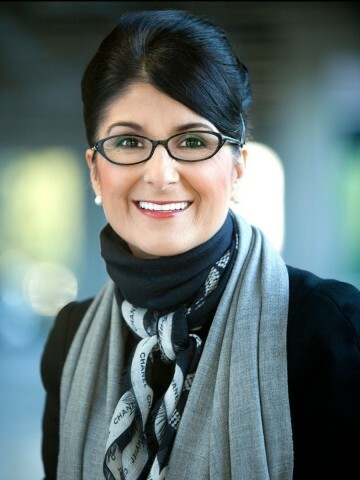 McCollam previously served as Executive Vice President, Chief Operating and Chief Financial Officer of Williams-Sonoma, Inc. (NYSE: WSM), with oversight for all aspects of global finance, human resources, information technology, real estate, store development and enterprise shared services. She joined the company in 2000, was promoted to the role of Chief Operating and Chief Financial Officer in 2006 and was appointed to the Board of Directors in 2010. She retired in 2012. 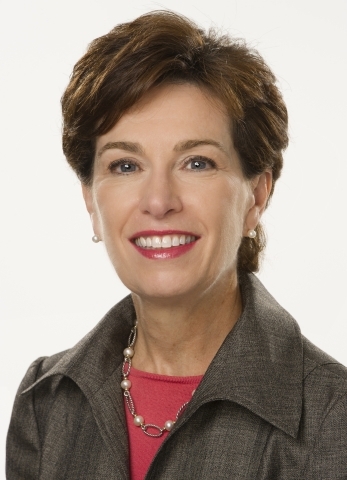 Prior to her time at Williams-Sonoma, Inc., McCollam served as Vice President and Chief Financial Officer of Dole Fresh Vegetables, Inc., a division of Dole Food Company Inc. (NYSE: DOLE). McCollam served in this role from 1996 to 2000, as well as in other financial leadership roles from 1993 to 1996. Today, McCollam serves as a member of the Board of Directors of Stitch Fix, Inc. (NASDAQ: SFIX). Her prior public Board service was with Del Monte Foods Company (NYSE: DLM), Office Max Incorporated (NYSE: OMX), Whole Foods Market, Inc. (NASDAQ: WFM) and Williams Sonoma, Inc. (NYSE: WSM). McCollam also serves on the privately held Boards of PetSmart, Inc., Hallmark Cards, Inc., and Art.com, in addition to the nonprofit Boards of Sutter Health and ALSAC/St. Jude Children’s Research Hospital. Reardon is widely viewed as a leading human resources executive given her 33-year service in the field, working for notable large complex global organizations. She joined the Campbell Soup Company (NYSE: CPB) in 2004 and retired in 2012 as the Chief Human Resources and Communications Officer. During her tenure, she played a key role in shaping Campbell’s strategic and operating plans and was instrumental in transforming Campbell’s culture, earning the company honors as a Best Place to Work in the United States, Canada, and Australia. In 2010, Campbell’s received the prestigious Catalyst Award for its success in creating a workplace that supports women and families. The Gallup organization also recognized the company for having one of the most highly engaged global work forces. Before joining Campbell’s, Reardon served as Executive Vice President - Human Resources for Comcast Corporation (NASDAQ: CMCSA), where she was instrumental in the merger integration of AT&T Broadband. Other human resources leadership positions included Executive Vice President, Human Resources & Corporate Affairs for Borden Capital Management Partners; and, Executive Vice President, Human Resources & Communications for Duracell Inc. Before holding various human resources roles at American Express (NYSE: AXP) and Avon Products (NYSE: AVP), she began her career at General Electric (NYSE: GE). She is currently on the Boards of Directors for Big Lots, Inc. (NYSE: BIG) and Kids II, a privately-held infant and toddler toy and gear company. Previous public Board experience includes Warnaco Group, Inc. She also served on the Girls Scouts of the USA Board and was named a YWCA Woman of Achievement. The Wall Street Journal reported in 2016 that Signet was one of the top 25 S&P 500 companies for women’s representation on its Board. Since then, female representation increased, with the 12-member Signet Board of Directors now consisting of an equal split between men and women. Other Board members are: Virginia C. Drosos, Signet Chief Executive Officer, R. Mark Graf, Helen McCluskey, Marianne Miller Parrs, Thomas Plaskett, Jonathan Sokoloff, Brian Tilzer, Eugenia Ulasewicz and Russell Walls. For more information regarding Signet Board members, please see http://www.signetjewelers.com/investors/corporate-governance/default.aspx. Signet Jewelers Limited is the world's largest retailer of diamond jewelry. Signet operates over 3,500 stores primarily under the name brands of Kay Jewelers, Zales, Jared The Galleria Of Jewelry, H.Samuel, Ernest Jones, Peoples, Piercing Pagoda and JamesAllen.com. Further information on Signet is available at www.signetjewelers.com. See also www.kay.com, www.zales.com, www.jared.com, www.hsamuel.co.uk, www.ernestjones.co.uk, www.peoplesjewellers.com, www.pagoda.com and www.jamesallen.com.